The problem with being the biggest, baddest dog in the yard is that playing that role and the position that it puts you in can be the loneliest job in the world. 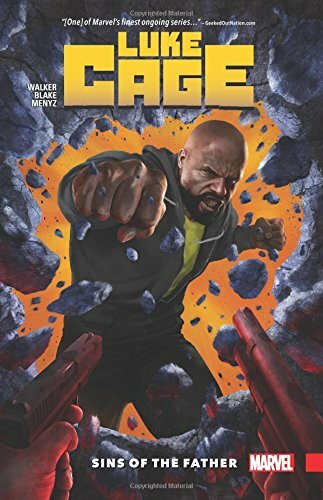 Something that Luke Cage knows all too well. He may be the defender of the common man and always ready and willing to fight for and defend those who have been downtrodden and subjugated by society, but the nature of his powers and how and why they were gifted and granted to him means that deep inside, he’s still plagued by doubt, insecurity and a nagging feeling that maybe he doesn’t deserve to be where he is and who he is. Being the good man that he is though, when Doctor Noah Burstein, the scientist who transformed his life, dies, Cage doesn’t think twice about it, packs his bag and heads to Dr Burnstein’s funeral to pay his respects. It’s a decision that he comes to regret, as his presence doesn’t so much upset the apple cart as smash it to pieces when he finds himself mired in a conspiracy of unethical human experimentation and caught in the middle of an underground business set up to capitalise on the work and theories of his much lamented creator. Talking about Noah, Cage soon comes to doubt everything that he thought he knew about his “father” when he discovers that he isn’t as unique as he always thought he was and isn’t the biggest dog in the yard anymore. 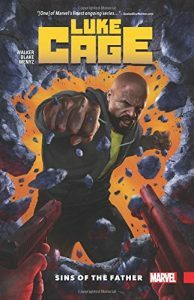 Cast adrift in the company of strangers, all of whom are working to their own agenda’s, Cage can’t trust anyone as struggles to uncover the truth about the death of the man who turned Carl Lucas into Luke Cage. And the more he finds out, the less he wants to know.